Naturaalne trummellihvitud poolvääriskivi - verdiit - põhimõtteliselt tegemist fuksiidiga. Verdiit on fuksiidi variatsoon, mis on jällegi muskoviidi variatsioon. 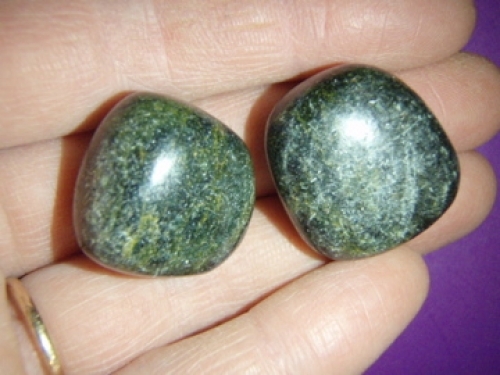 Verdite is a stone that stimulates the energy centers/chakras. It can assist the movement of Kundalini. Often, verdite is used to access and assimilate ancient knowledge. Emotionally, verdite brings consistency, stability, and fortitude. 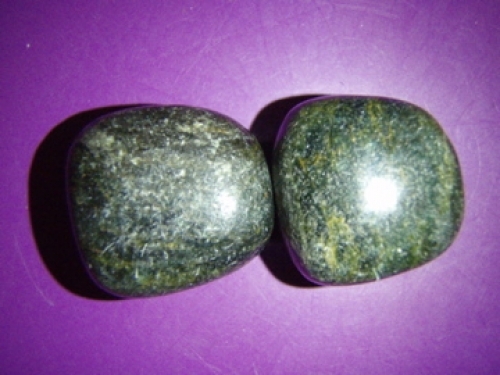 Physically verdite is used in crystal healing for cleansing the blood, removing toxins, and genital disorders. Note that healing crystal meanings are spiritual supports to healing and are not prescriptions or healthcare information. Verdite is a combination of primarily fuchsiteand quartz with other trace minerals.